Take pleasure at the Gold Coast budget accommodation at Aruba Surf Resort. Their lovely and spacious apartment units will provide you and your family with a delightful Gold Coast holiday. 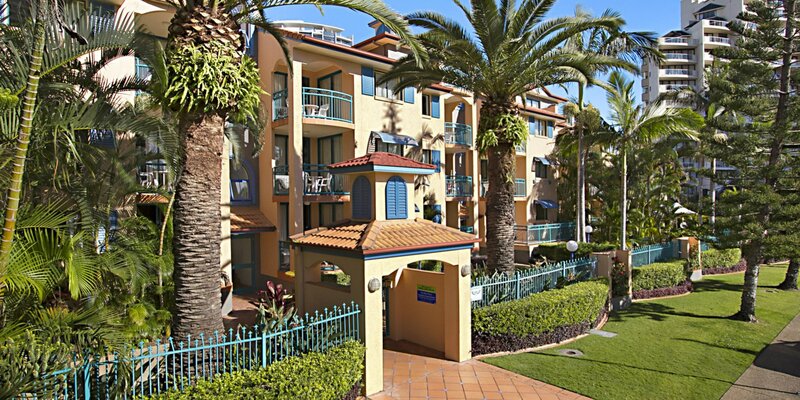 The Broadbeach resort accommodation offers lovely 1 and 2 bedroom fully self contained apartments with bright modern furnishings, private balcony, spacious lounge and dining area. 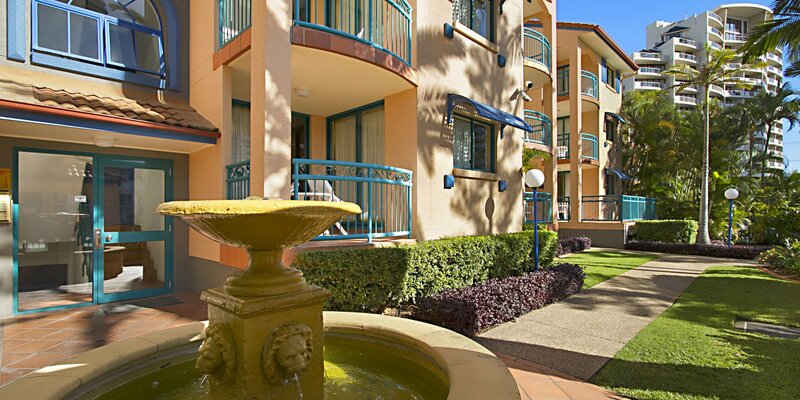 Complete and fully furnished, each Broadbeach family apartments is equipped with full kitchen and laundry facilities, ceiling fans and TV with satellite cable. Aruba Surf Resort also provides first-rate amenities for you to enjoy. Get total relaxation as you take a soothing dip at the spa pool. Families can wade and splash around the outdoor swimming pool. You can also share scrumptious meals with the family at the BBQ area. Aruba Surf Resort also offers reservation and booking services at their Tour Desk office so you can enjoy a stress-free holiday at the Gold Coast. 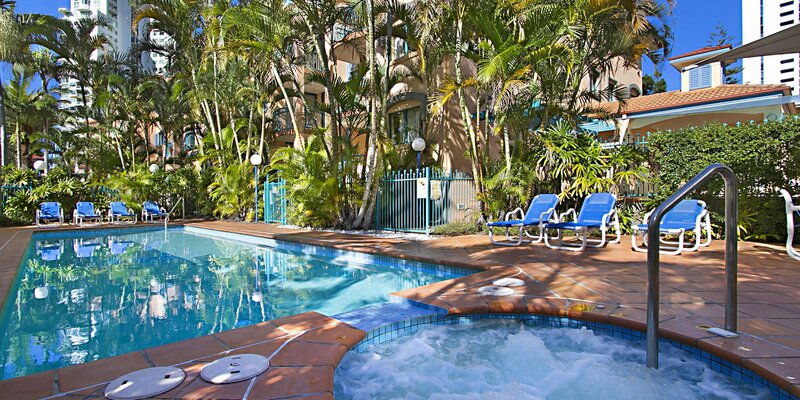 Set nearby the scenic shores of Broadbeach, the Gold Coast budget accommodation provides tourists with a truly delightful beach getaway. 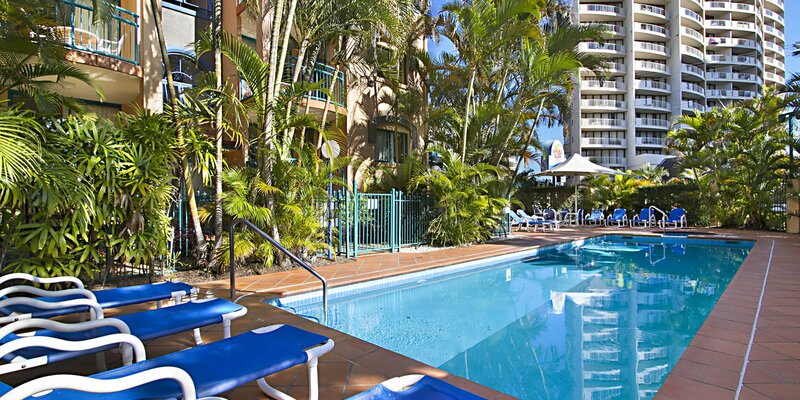 The warm sun-kissed shores and temperate waters captivate guests from the Broadbeach holiday apartments to dive in and take pleasure on a refreshing morning swim. Guests can also enjoy boogie boarding and surfing with the kids. For individuals who want to learn how to surf, there are surfing schools conveniently located nearby the Gold Coast budget accommodation. Aside from the beautiful beaches, the Gold Coast is also home to a number of incredible theme parks. You and your kids can get up close with the friendly and fascinating sea creatures at Seaworld. Tourists at the budget accommodation in Broadbeach can also stop by at the Wet ‘N Wild theme park and have a splashing good time at their huge water slides. Get your adrenalin fix as you go for an exciting thrill ride adventures at Warner Brother Movie World and Dreamworld.